Achieving success is a common goal, although the definition and its path are as varied as opinions of the best tire pressure to use during a muddy, wintery cyclocross race. While Feed Zone cookies may be a great recovery food after a race, a cookie cutter approach is something you will not experience with us. Chuck combines lessons learned from years of racing with the most recent innovations in exercise science literature to craft training plans and programs that deliver measurable results. While serving in the military, Chuck had the opportunity to play elite level soccer and club hockey. As his military career path changed from Navy to Army, enlisted to officer, information operations to strategy, so did his athletic interests. From ultra-marathons to an Iron Man, Chuck embraced several different disciplines of endurance sports before focusing solely on competitive cycling. As the number of miles recorded by his Garmin increased, so did his knowledge of physiology, training response, and adoption. As his expertise improved, he helped his teammates and friends with their training, eventually founding KyleCoaching. 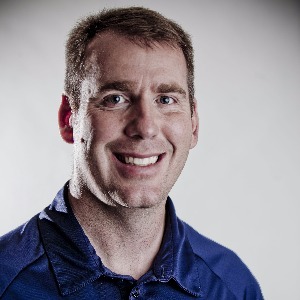 Chuck is a USA Cycling Level 2 coach, a TrainingPeaks certified Level 2 Coach with Power, and a certified personal trainer from the National Personal Training Institute (NPTI). Chuck combines lessons learned from years of racing with the most recent innovations in exercise science literature to craft training plans and programs that deliver measurable results. We prefer that you are prepared to train with power but will work with athletes that only have a heart rate monitor. Success. Coach Charles Kyle, NPTI-CPT has been notified of your message. To hire Charles Kyle, NPTI-CPT as your coach, select the coaching service that is right for you.